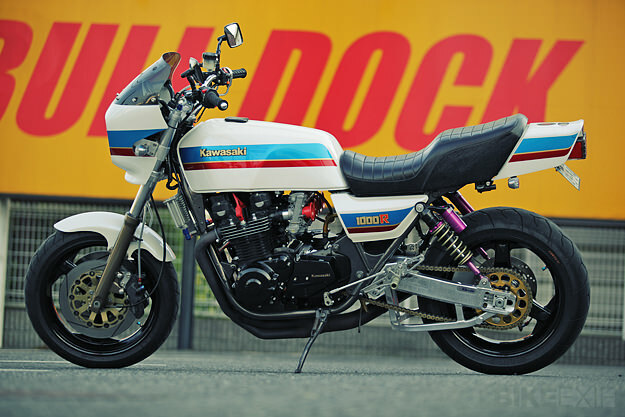 The scale of the Japanese custom scene is absolutely staggering, as anyone who has pored over magazines such as Moto Navi and Cycle Headz will know. 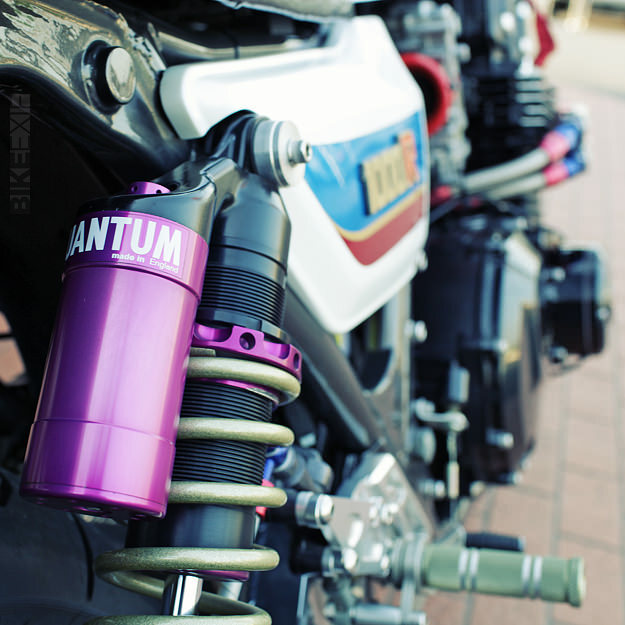 And within that scene are different philosophies of bike building. In one corner we have builders such as Shinya Kimura, who seems to be influenced by the concept of wabi-sabi—a beauty that appears to be incomplete or imperfect. In the other corner we have workshops such as Ritmo Sereno, AC Sanctuary and Bull Dock, who revel in precision, detailing and component quality. 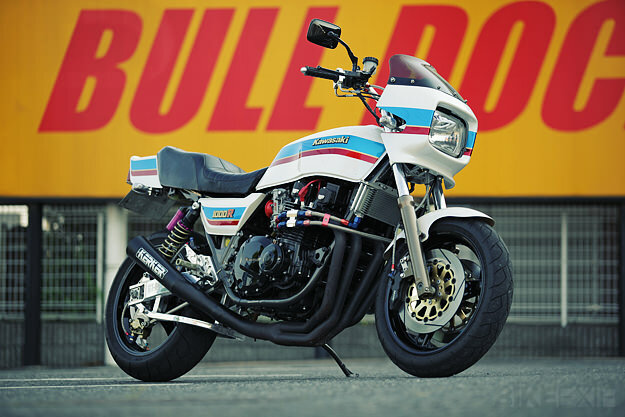 This Kawasaki Z1000J is a recent Bull Dock build, but classified as a ‘budget’ build by their standards. Still, the modifications are extensive. The wheels are Dynamag and have been dropped down to 17” in diameter, while the 998cc motor has been boosted to 1135cc with a Wiseco kit. The air-cooled DOHC engine is now running Yoshimura ST-1 cams and Keihin FCR37 carburetion, with gases exiting via a Kerker exhaust. 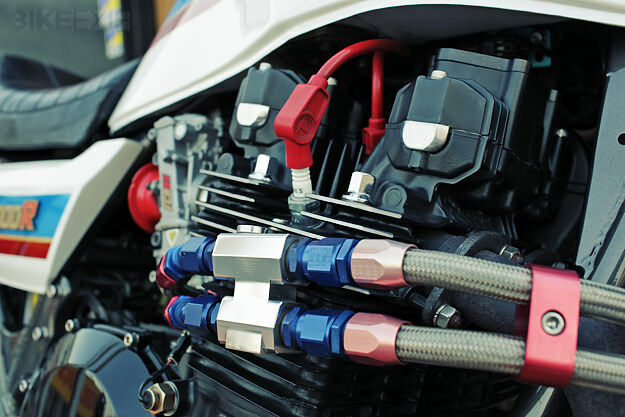 The sparks are taken care of via a Dyna 2000 ignition system. 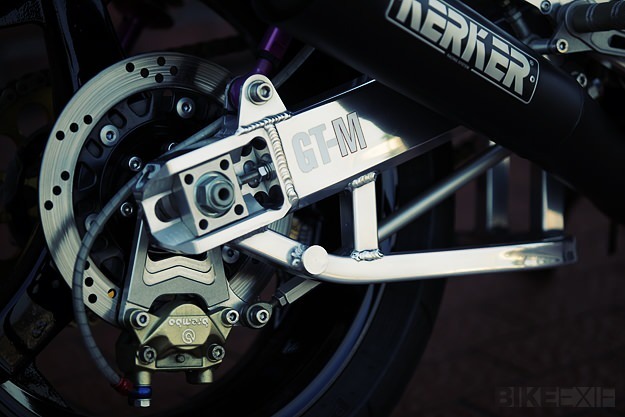 Further back, a custom swingarm keeps the rear wheel planted—useful given the 102 hp output of a stock Z1000J—and McCoy rearsets improve the riding position. 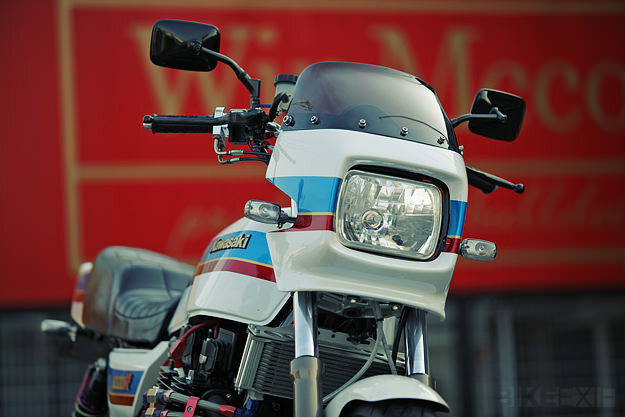 It looks like 80s superbikes are poised for a big comeback. And if this is the style that filters through to the west, I’m all for it. Many thanks to photographer Kyle Drubek.